Why can you feel confident hiring The London Window Cleaning Company? Residential window cleaning products will often leave streaks on the glass after cleaning. We use a system that filters up to 600 litres of water through a 5 stage filtration process that will leave the water completely pure. We wash the windows using a carbon fibre pole that permanently feeds hot water onto the glass leaving a sparkling smear free window. All our window operatives are timely, professional and courteous and will always arrange an initial at your home to determine accessibility and run through a risk assessment with you. 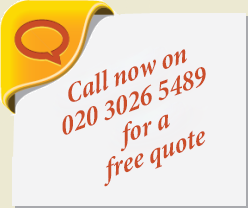 This allows you to meet us first and you will get an accurate quote. That is followed up with a written quote and a copy of our Terms & Conditions. Once accepted, we then arrange our first window clean with you. We would love to clean your windows too! Please fill out this form and we will get in touch with you shortly. © 2019 The London Window Cleaning Company. All Rights Reserved.